Betfred Mobile is a customer friendly mobile betting app that allows players to engage with a vibrant community while being eligible to win a wide array of prizes. The Mobile Sportsbook is designed to be a user friendly app, which allows betting to be easier than ever before. 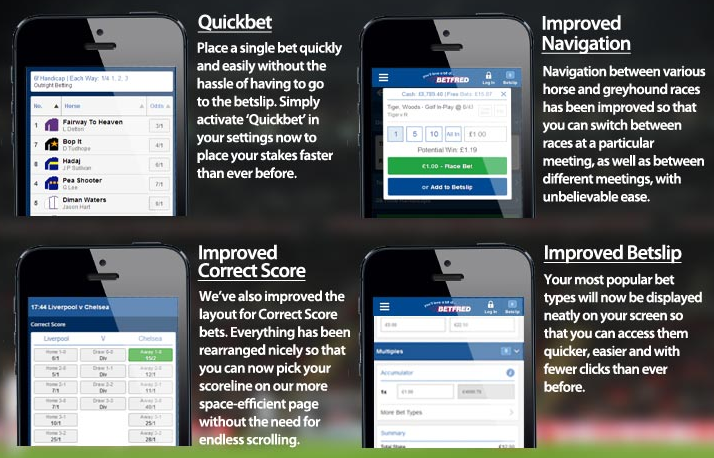 Users on IPhone or Android will be able to navigate quickly and easily between different races, and make quick and hassle-free bets using the Quickbet feature. In addition, you can enjoy the Watch Live feature that allows live streaming of the most important matches of the day. An app designed with convenience in mind, betting has never been simpler, and the display is designed to make following the races easy and clear. For sports fans, Betfred has its Goals Galore mobile app, which covers the domestic and Premier League seasons. This accessible app allows players to keep up with the action while managing their bets in one convenient place. With a wide array of coupons and special enhancements available, betting has never been simpler. Goals Galore also offers increased odds and improved returns, making the chances of winning big higher than ever. Goals Galore is available on Android and Apple. 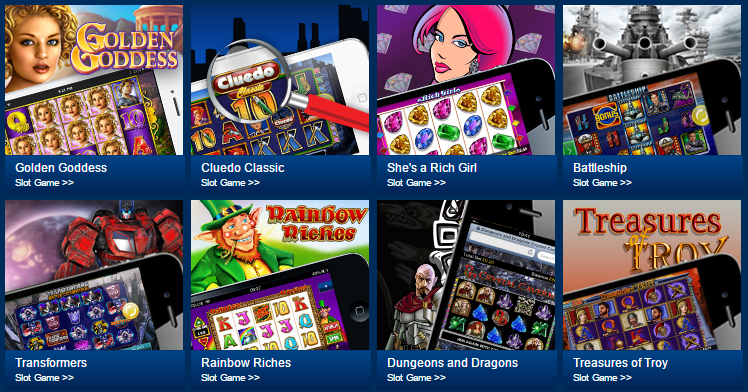 Betfred Casino gives you all the fun of playing exciting casino games from your pocket. With a large array of themed slot games, to the traditional blackjack and roulette, the casino app has something for all players, whether they are casual or advanced. Users who would prefer the more interactive approach have the option of the Playfred Casino, where you can spin the wheel and throw the ball to fully immerse yourself in the fun. Playfred is usable with your Betfred account, and has support constantly available to ensure that your game is the best it can possibly be. With flawless graphics and quick loading times, this app provides the authentic casino experience from wherever you are. 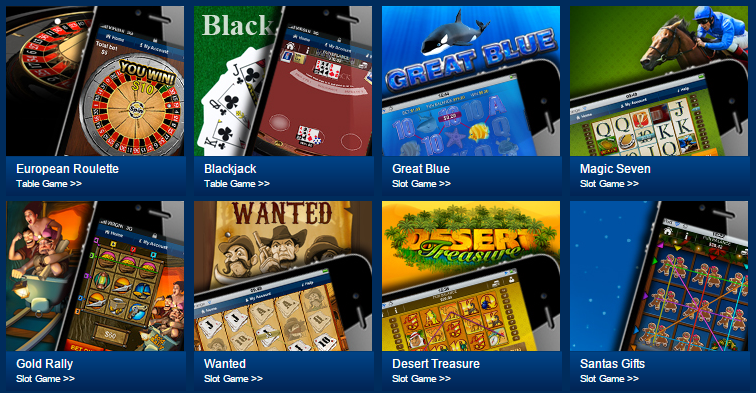 For those in favour of a simpler design, Betfred has an available Mobile Games app. This app contains a variety of fun activities, from Cluedo to Blackjack, as well as classic games such as Cleopatra or Pixies of the Forest. Exciting new games such as Dungeons and Dragons: Crystal Caverns allow multiple wins in a row, and can lead to up to 300 free spins, so the fun never has to stop. With well-known brands such as Transformers available in slot form, this interactive experience goes much further than a regular gambling session. This thrilling game play is included in many of the other games available on Betfred’s Mobile Games app. Betfred’s Mobile Bingo allows you to keep the excitement going for longer, with constant promotions and thrills just one click away. From free bingo games to an exclusive £30,000 jackpot, Mobile Bingo is a constant adventure. With chatrooms that allow players to meet new friends from all over the globe, and bonuses to be won, Mobile Bingo is hours of entertainment. Betting Promo Codes © Don't play with the law: check that the sites you register on are licensed in your country of residence. For help, support and advice about problem gambling please contact the National Gambling Helpline on 0808 8020 133 or via the NetLine. For more information, go to begambleaware.org Copyright © 2018 Betting-promo-codes | All rights reserved.